From outdoor classrooms to indoor slides, today's kindergartens and primary schools are innovative spaces. 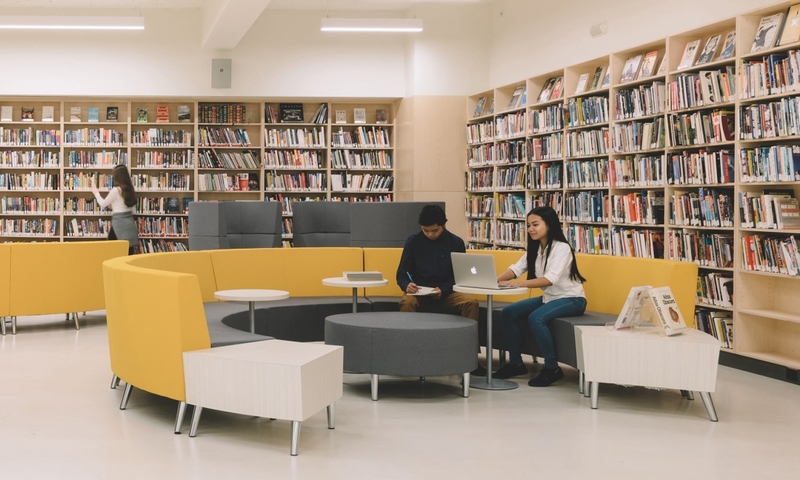 While the spotlight shines on post-secondary interior design, the spaces of early childhood education have been quietly evolving. 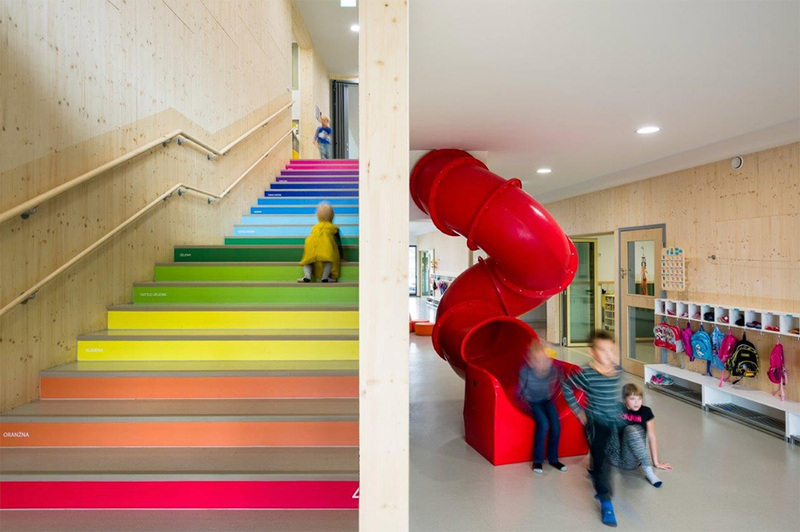 With an indoor slide, chalkboard walls and a colorful staircase, this Slovenian kindergarten is every child’s dream playground. Time Share Kindergarten is one of several schools in the portfolio of Jure Kotnik Architecture, and it is not hard to see why. Their design combines playfulness with functionality; the numbered, rainbow-colored stairs help kids practice both counting and colors, while the winding slide and climbing wall lets them play indoors. If learning is meant to open young minds, then school walls should not enclose them. Such is the philosophy at The Wish School in Brazil. The designers at Grupo Gropa created an open, dynamic space that can be easily configured according to teaching needs. Moveable panels work double duty as walls and shelving for classrooms. The Wish School is bright, spacious and certainly one-of-a-kind. A discussion about innovative schools would not be complete without the mention of Japanese design. C.O. Kindergarten and Nursery in Hiroshima embodies a clean, minimalist aesthetic that is unmistakably Japanese. While the warmth of colorful ceilings and hardwood flooring in this design by Youji no Shiro is worth admiring, the indoor climbing wall and playground is what really wins over the preschoolers. 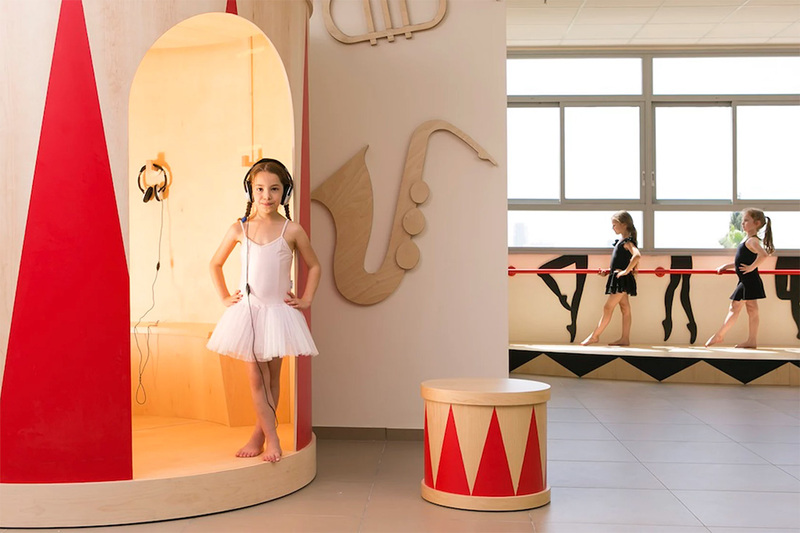 Tel Aviv designer Sarit Shani Hay had a whimsical vision for the Ramat Chen Elementary School for Arts and Science. As a school dedicated to visual arts, theatre, music, dance and science, the school’s interior design inspires creativity. 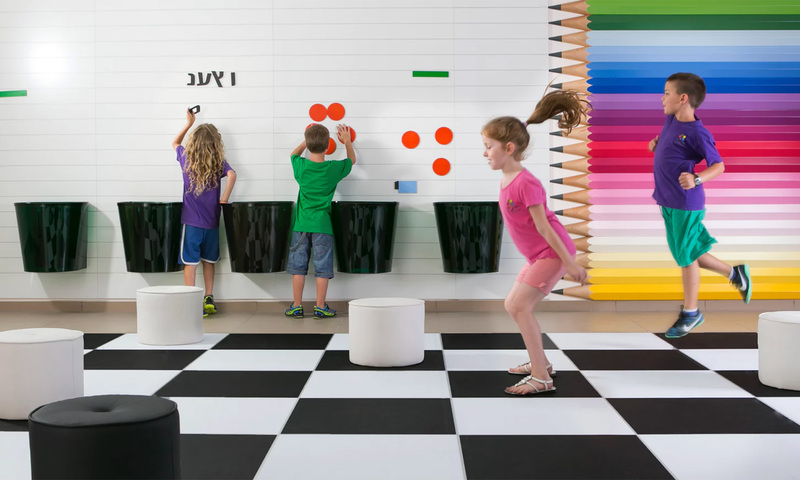 A music corner is housed in the shape of a drum, and black and white checkered floors in common areas encourage young students to move around. This Texas primary school takes its cue from nature. 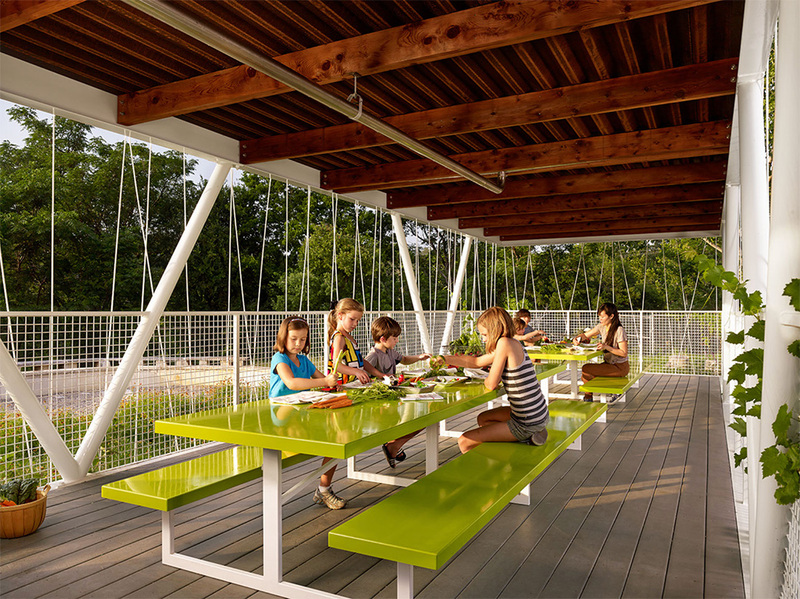 In response to Casis Elementary’s growing organic garden, Baldridge Architects donated its services to create an outdoor classroom that shelters students from rain and sun. The open structure houses picnic tables and space for storage, with a rain collection system at its base. Built with the help of parents, architecture students and friends, this unconventional classroom is a hands-on learning opportunity for everyone involved. Header image of Ramat Chen Elementary School for Arts and Science photographed by Shiran Carmel.